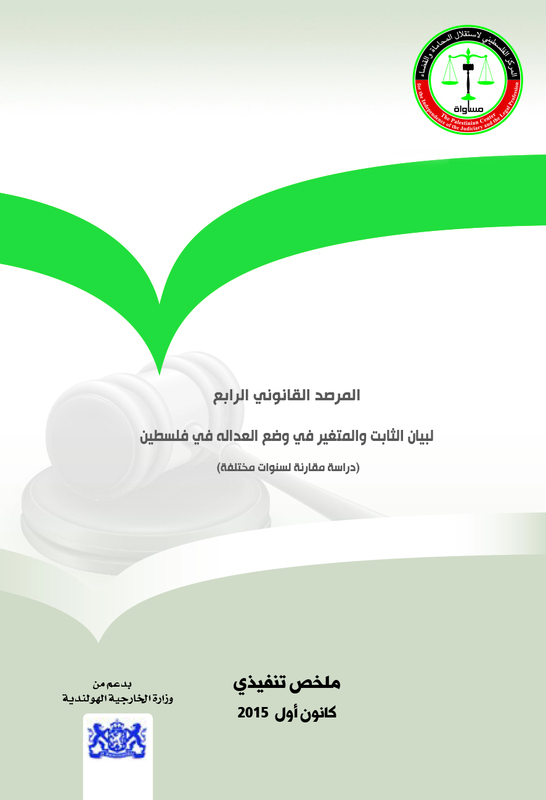 MUSAWA – The Palestinian Center for the Independence of the Judiciary and the Legal Profession announces the publishing of issue no. (32) of Justice and Law; a journal which contains academically-assessed legal studies and research, aimed at identifying the weaknesses of the existing Palestinian legislation or administrative policies in order to induce decision-makers to enact legislative amendments and rectify administrative imbalances. The journal contains commentaries/views on the final rulings issued by the Palestinian courts. Comprising of 152 mid-size pages, the issue contains eleven commentaries on five verdicts: (1) a verdict rendered by the Supreme Constitutional Court on identifying the legal value of international treaties in the Palestinian legislation; (2) a verdict rendered by the Court of Cessation in a civil case that has to do with the criterion of calculating the amount of compensation for wrongful dismissal as stipulated in the Labor Law; and (3) three verdicts by the High Court of Justice: a- the strike of the union of professors and staff of Palestinian universities, b- the strike of the Bar Association to protest against the Decree-Law on the High Criminal Court, c- the prevention of Legislative Council (PLC) members to enter the PLC building by police officers. All commentaries were provided by judges, law professors, lawyers, and specialized academics from Egypt, Jordan, and Palestine. Hard copies are available at MUSAWA’s offices in Ramallah and Gaza. A soft copy can be found here.